Game #31 Could this #Nats line-up be what we see on Opening Day? In today’s line-up, Nationals’ manager Dave Martinez has gone off-script and has moved Anthony Rendon into the coveted two-hole and has pushed Trea Turner back to the six-hole for this game. Could this be a foreshadowing of the Opening Day line-up or Davey just doing some experimenting? The players in this line-up certainly look like the starting eight position players we will see on Opening Day in four days in Cincinnati if Ryan Zimmerman is not at 1st base. Most of the players who will be on the Opening Day roster got word yesterday that they made the team like Miguel Montero. 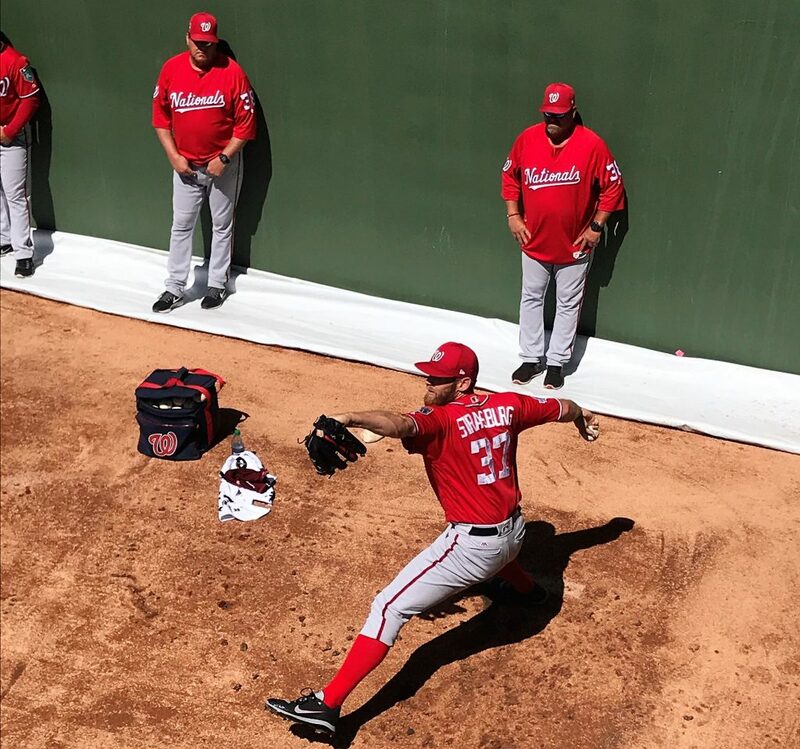 We wrote about the players who are still on the bubble, and as John Lannan could tell you back in 2012, even after being told he made the Opening Day roster by his manager Davey Johnson can change quickly as Ross Detwiler officially took his spot and Lannan headed further north to Syracuse, New York. Many families packed up and departed Florida yesterday, and the players will fly out on a team charter after this game to get settled-in their 2018 residences except for the players who call the D.C. area their home like Zimmerman and Max Scherzer. While the final roster is close to being set, for a few players you can never be too comfortable because Daniel Murphy will added to the roster when fully healthy as well as Jeremy Hellickson if he is deemed ready. For today, the Nationals will face a familiar foe in not face Adam Wainwright who was just scratched in the final Grapefruit League game of 2018 for these teams. The Nationals starting pitcher is Stephen Strasburg, and he will now face right-handed Jordan Hicks of the Cardinals. After this game, the Nationals have an exhibition game on Tuesday against the Minnesota Twins at Nationals Park before heading to Cincinnati for Opening Day.